Acer Sango Kaku Senkaki (Coral bark maple). 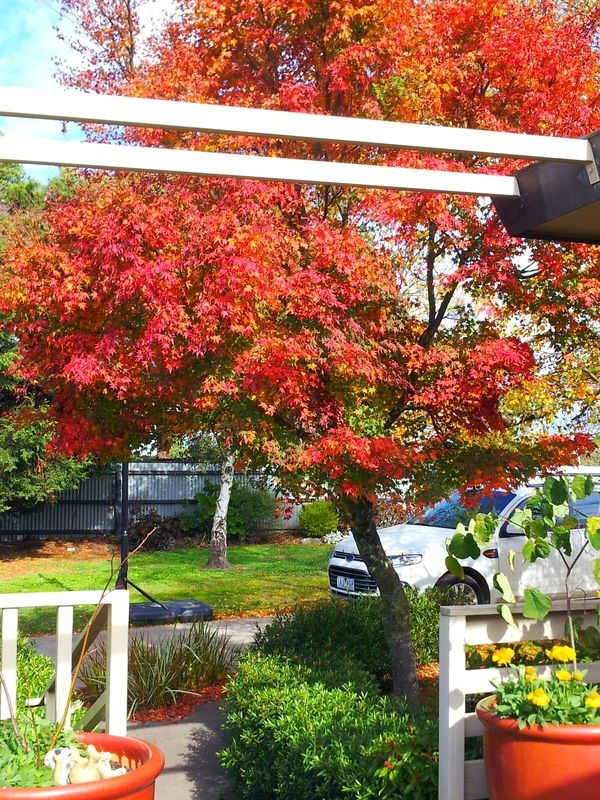 One of the best ornamental maple trees. 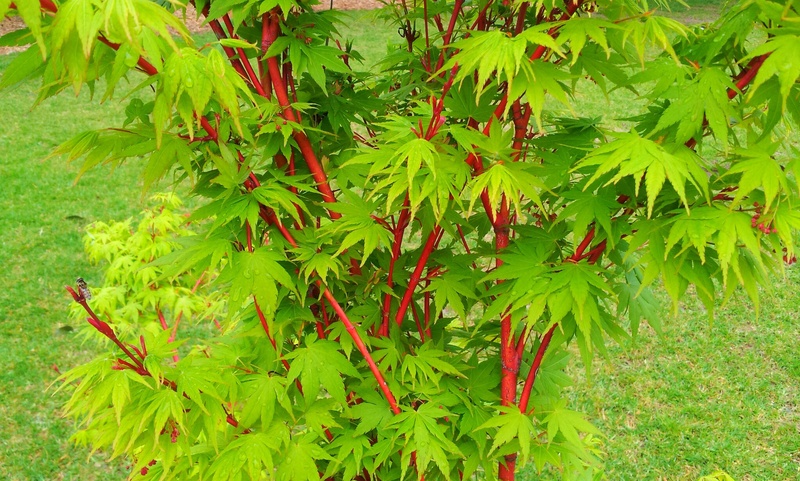 Brilliant new red stems that come to the forefront during winter but add interest throughout the year make the Coral Bark Maple of standouts from the many Japanese Maples.